I have been reading Gary Lachman's new critical biography of Colin Wilson, and it reminded me of how spitefully the English Establishment treated Wilson for more than half a century - a mixture of mockery and disgust. Indeed, Wilson is a good example of someone who pursued the spiritual path of The Fool, which I discussed recently. He had a total indifference to whether or not his interests and arguments would seem absurd, consequently he made many discoveries among authors, and found interesting things to say on many topics. But the nasty way Wilson was handled by the mass media over such a long time, and especially by the highbrow media, is significant. It is clear that Wilson's line of work was something that the elites wanted to shut down, or neutralise by putting it into a ghetto where Serious People treated it as a joke. Given the strategy of evil pursued by the establishment media, this is a clear but indirect indication that Wilson was saying something important that the English in particular needed to know. What could this be? In one word it was optimism, fuelled by an expanded sense of the reality and possibility of human life. When Wilson's first book (The Outsider) came out, I think it was misunderstood to be in the despair-inducing tradition of Continental existentialism; which the Establishment was keen to promote. But when it became clear, with Religion and the Rebel, that Wilson was seeking a new spiritual and religious energy and optimism - then the attempt was made to demoralise him by a mixture of shunning and mocking. To his great credit, Wilson was neither silenced nor embittered, and continued to pour out books until old age; developing his ideas and being very supportive of many others. The main problem with Wilson's work is that he wrote too much, too fast and without optimal attention to detail; and more importantly he spent more time writing than thinking. This was a consequence of his spending too much money on books, recorded music and wine - all if which were expensive hobbies in England. Since Wilson always immediately spent everything he was earning, and more, he was always having to write; and since he was mostly excluded from the major publishers, he had to write far too much - and spend too much of each day writing, and not enough time and effort thinking hard - in order to sustain this rather self-indulgent lifestyle. Nonetheless, ultimately I think Wilson probably did achieve his destiny in terms of writing what he needed to write, and telling England some of the most important things we need to hear. I tried, intermittently but seriously over about 25 years, to live along the lines advocated by Wilson, and I therefore know that it is valuable but alone is not enough. Since I became a Christian I have realised what was missing from Wilson's spirituality, and how no amount of research or thinking could have provided it. Like so many, Wilson was put off Christianity altogether by the churches and their exclusivism, whereas he should have ideally become some kind of an unaffiliated Christian, like William Blake. If The Establishment shunned Wilson, the fact is that he had many friends among the eccentric spiritual patriots of England, and was indeed a kind of rallying point for such people. Although Wilson himself expressed justifiable anger and frustration at England (for example in his preliminary autobiography from the late 1960s) - and like Owen Barfield found his main audience in the USA and elsewhere - Wilson was an intensely English figure, whose work return frequently to the long tradition of offbeat individualists, each ploughing his own furrow - this especially applies to his 'occult'-themed writings. In conclusion, Colin Wilson can be seen as illustrating the difference between the real England of Albion, and the inverted England of the modern elites, officials and media. Colin Wilson was a hero of Albion and an enemy of The Establishment. When Ralph Waldo Emerson visited England in the middle 1800s, coming from New England, he was shocked at the comparative degradation - greater extremes of wealth and poverty, materialism and spiritual corruption. Within a generation, the US had caught up and surpassed England, but England led the way down. The spiritual condion in England is now very low indeed, so low that most people do not notice, or assume being spiritual is the same thing as being nice, or feeling pleasure. Standards of honesty in public discourse, especially the media, goverment and corporate communications, are so low that participants cannot believe they could be otherwise (despite that these changes have been so rapid and recent) - the corruption of people has been very complete. This is not subtle. Drunkenness is normal, skin mutilation is extreme and proudly displayed and admired, addiction is amost universal, actively sought and stoutly defended (most damagingly to 'smart' phones). There is a highly sexualised and narcissistic public space, with middle aged and elderly people leading the way. Everyone strives to appear as a permanent youth - attention seeking is equated with self-respect. The degree to which purpose and meaning are weakened is hard to exaggerate: these neccesities strike many people as dangerous. Civilisational collapse is spiritual, and transcendental - the inversion of virtue, loss of beauty as an aim, and habitual and enforced dishonesty. That is where we are. There is almost nothing hopeful of positive spiritual awakening that is overt and public. Yet things don't add up to being as bad as they ought logically to be. The cities are filled to the sky with soul sapping architecture, but people flock to the countryside and appreciate the old and good. There are many micro-kindnesses and decencies against the grain. So there is realistic hope of awakening from insensible decline. Brexit showed that a comfortably large majority are wanting to get off the down escalator leading inexorably to national despair and self-destruction. As yet, they have not recognised that the true battle is spiritual not political. We are fighting for the soul of England, not a set of constitutional arrangements. But the nation is ageing and being replaced, the energies are ebbing; so there is only a few years remaining as a time window. Spiritual revival is urgent, as well as necessary. Its goal is pretty clear; and there is no effective institutional opposition. None. What is needed - and indeed the only option - is individual not collective. It is a multitude of individuals waking up and deciding to try and do what they know to be right and true, in a spiritual sense. What to do is quite simple to perceive from intuition, common sense; and recognising evil and when it is trying to manipulate your emotions and control your behaviour. Psychologically it is putting aside fear, and embracing love and courage as ideals. Spiritually, being eager to repent errors and your own wickednesses (past and present). From now, we actually must speak out, in pursuit of Good mainly, and to refuse evil... not to cooperate with its agenda. And knowing that you matter as an individual is crucial and a fact, not arrogance. Every individual soul is wanted by both God and the devil. Evil goes to vast lengths to achieve the damnation of one Man. Your attitudes, your behaviours matter and have massive significance in the spiritual realm - which is the realm that matters. In spiritual terms your life is an heroic quest, plain and simple, and you are only defeated when you give up. The time is soon when English people will recognise this fact, and each will choose in his heart. We English are near the bottom, but are now in a position to initiate and lead the climb out from the pit. The decision is not difficult, so long as you realise the sheer scope of your life, and its extreme importance, and that it has a purpose and meaning at the spiritual level; and that the spiritual level is primary and real compared with the temporary illusions and impressions of materialism. There is a kind of spiritual law - ultimately and over the long haul: What you give out, you get back. People attract their own luck and get what they most deeply want. Therefore we must be positive, warm hearted and confident (and repent our inevitable failures). That is it, really. Simple, easy and guaranteed effective. England is not usually thought of as a particularly musical country (disregarding pop and rock which in all honesty don't really count, though folk music is another matter), with only Purcell, Handel (who, of course, wasn't English), Elgar and maybe one or two others belonging to the major league. However if you go back to the 16th century you find that many of the greatest composers of the time were, in fact, English. This period was a Golden Age for English art in general but I am focussing on music here because that is probably the most spiritual of all the art forms in that its effects, for good or ill, can be the most profound in the sense of inwardly awakening or morally corrupting. Although its roots lie in earlier times, and are represented by people like John Dunstaple, the really great period of English music might be said to start with the Eton Choirbook which dates back to the late 15th century. This was a collection of sacred pieces for unaccompanied choir copied down for performance at Vespers in Eton College. They are all, I believe, in praise of the Virgin Mary who was very important in pre-Reformation England, almost like a feminine deity perhaps thought of as more approachable and closer to common human concerns than the Father who might be regarded by ordinary people as rather too transcendent and remote. One of the great losses caused by the Protestant revolution was precisely this; that the English, and those that descended from them, lost touch with feminine grace and mercy as expressed in a spiritual form. The music in the Eton Choirbook was drawn from the greatest composers of the day, musicians such as John Browne whose Stabat Mater is one of the pillars of the collection. This, like all the pieces in the book, is florid polyphony whose elaborate lines echo the architectural glories of King's College Chapel at Cambridge, great soaring arches of sound in which the top lines (sung originally by boys but now more usually and very effectively taken by female voices) float above the tenors and basses like high flying birds above the waves. The Browne Stabat Mater is for six voices, which sometimes break down into a smaller number of parts, and alternates between expressive sections for solo voices juxtaposed with more powerful ones for full choir. In a normal performance it lasts about 15 minutes and the cumulative effect is quite breathtaking. A slightly later composer is John Taverner who wrote masses and motets as well as the votive antiphons which was the most common musical form in the Eton Choirbook. The Missa Gloria Tibi Trinitas is probably his best known work today but pieces like Dum Transisset Sabbatum and O Splendor Gloriae are works of overwhelming beauty whose spiritual intensity is unmatched in music of any period in my opinion. Was Taverner a particularly spiritual person or just a talented musician working in a language that lent itself especially well to spiritual expression? Perhaps a bit of both, but the greatness of Renaissance vocal polyphony is that even composers not necessarily of the first rank could write music that touches on the sublime when working in that style. From the generation following we have Thomas Tallis and then William Byrd, both of whom were Catholics writing at a time of religious change and even persecution. This produced heartfelt works of longing and anguish by both men, generally shorter in length and perhaps more human in their emotional content than earlier composers though no less spiritual in effect. But perhaps Tallis's greatest work is one that harks back to the style of the Eton Choirbook. His Gaude Gloriosa is an immense piece consisting of nine invocations to the Virgin Mary and builds up to a shattering climax that is surely the closest thing we can get on this Earth to the choirs of cherubim and seraphim praising God in the highest. Whatever the greater development of later music in the Baroque and Romantic periods there is nothing that approaches this for sheer spiritual power and transcendent beauty. I write as a listener not a musician but while Bach, Beethoven and Wagner are doubtless greater composers with more technical ability and greater harmonic understanding they do not, possibly because of the nature of the times in which they were working, reach such spiritual heights in which the soul is raised above its earthly station to a purer condition of heavenly beauty. The tail end of this period of English sacred music, in which it touched a spirituality rarely known before (even, in my opinion by the Palestrinas and Josquins on the Continent, great composers though they were), is represented by Orlando Gibbons, Thomas Tomkins and Thomas Weelkes, all fine composers but not so capable of expressing divine glories as their earlier compatriots, perhaps because they were setting English words rather than Latin, perhaps because of the artistic depredations of the Reformation or perhaps just because time moves on. Then we had Purcell (whose lovely hymn to Albion, 'Fairest Isle' from the semi-opera King Arthur, is worth drawing attention to in the context of this blog) and a few other minor composers, and then, after Handel, not really much at all until Elgar and Vaughan Williams. But there is an interesting 20th century footnote to add. Two English composers of the early 20th century, quite well known at the time, then forgotten but more recently rediscovered, were John Foulds (1880-1939) and Cyril Scott (1879-1970). With the best will in the world neither can be called great but they are both interesting, and that is not just to damn them with faint praise. Their music may not be great but it is good. They were not Christians in the ordinary sense but they were both influenced by Theosophy, which is probably the major source of much New Age spirituality, and they both, intriguingly from my point of view, claimed to be in touch with Masters; that is, spiritual beings belonging to the hierarchy of saints that is supposed to guide and watch over humanity on this Earth. In fact, John Foulds was married to Maud MacCarthy who was the Swami Omananda who wrote about the Masters in Towards the Mysteries. And Cyril Scott wrote a trilogy of books (The Initiate etc) about encountering a Master in London and America which I believe to be fictional but which were presented as fact. It may be that Scott thought he was promoting a true idea in a way that was more palatable to the general public as the books are written in a somewhat journalistic style. I have to say that I think presenting fiction as truth is the wrong way to go about things, even if your intentions are good, but I'm sure his intentions were to enlighten not to deceive and he may well have had the contact he claims though probably in a different form. Anyway, the point is that there was a revival of the connection between spirituality and music in this country in the first half of the 20th century. Even Vaughan Williams can be seen as part of that, and, in the context of Albion, two other composers worth a mention are Arnold Bax, especially with his symphonic poem Tintagel, and Rutland Boughton whose music drama entitled The Immortal Hour was first performed at the Glastonbury Festival in 1914. It's a sort of fairy opera that somehow seems to call to mind prehistoric Britain though filtered through an Edwardian sensibility. What I think all these composers had in common was a sensitivity to the theme of this blog, a certain sort of English spirituality. They expressed this in different ways and according to their own time and culture, but they all were responding to an inner world of light and truth that constantly bubbles up from the depths of England only to be suppressed again by materialistic forces. It can never really be suppressed because it is true but it needs to be brought forth anew with every generation, and the hope is that it will become stronger in people's minds until eventually it can really blossom forth and shine out clearly in the world. There is a powerful case, I believe, for the seventeenth century to be considered the high water mark of English literature, certainly with regards to the beauty and sonority of the language. One thinks of Shakespeare, Milton, Donne, The King James Bible, The Book of Common Prayer, Henry Vaughan and Thomas Traherne, to name but a few. The only twentieth or twenty-first century English writer who comes close to such felicity and resonance of expression is, in my opinion, William Golding (1911-93). 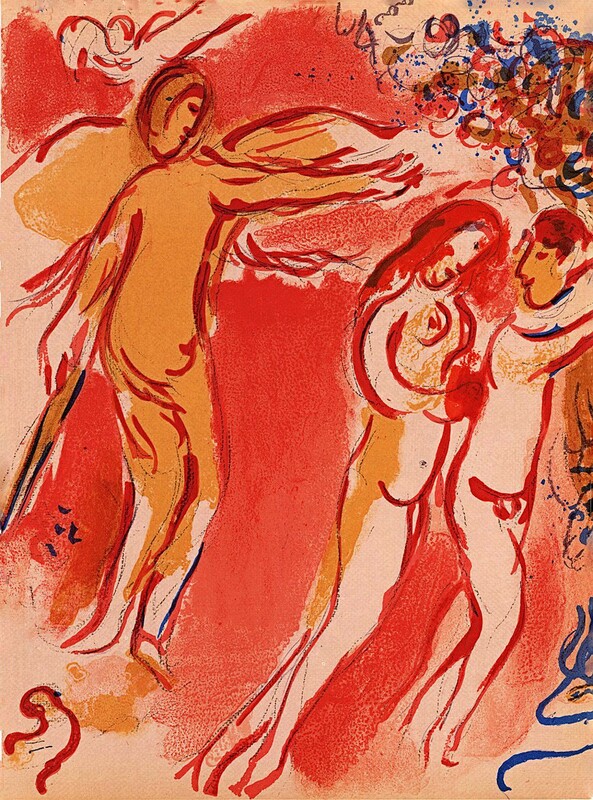 In this piece, I present two passages from Golding's 1959 novel Free Fall alongside two extracts from Centuries of Meditation, a devotional meditation par excellence from the afore-mentioned Anglican Divine, Thomas Traherne (1637-74). The similarities in language and style are clear, but there is an extra shared element which stands out - more important, perhaps, and more germane to the human condition - a sense of a lost Eden, a nostalgia for the wonder and integrity of childhood vision, and a deep-seated intuition that this miraculous view of things is not false but emphatically true, not childish wishful-thinking but a genuine insight into the nature of reality, a perception which can and should be restored to the beaten down, world weary and cynical adult mind. The Fable is both old and new - inhabiting time and space, yet also beyond time and space - a live coal, calling out to the men and women of every age to be recaptured, rediscovered, retold and reclothed. This is what Golding and Traherne set out to do. We should not be afraid to follow in their footsteps. The spiritual path of the Fool is well known but seldom trodden, despite that it is very simple indeed. It is simply the path of living by intuition, including justifying by intuition. This is not the same as living by instinct. Instinct is the animalic appetites. Intuition is the thinking of the primordial primary self, which is an eternal and divine reality. Intuition errs but repents easily. It is infallible over the long span (extending beyond death) but may be unpleasant and cause suffering here and now ~ especially the suffering of being ridiculed, despised or pitied -- which is why it is seldom pursued. And nobody pursues it wholly or fully. In many ways Socrates (the real Socrates, not the charater in Plato's later works) was a fool, and so was Jesus - but both were also intellectuals of knowledge and brilliance; and used arguments framed rationally. But in extremis, at the bottom line, the Fool abandons argument and sticks to intuition -- in other words, the primacy of inner knowing. Socrates called it his divine daemon or genius. All English Christians, and English women especially, bear a heavy weight of responsibility at this moment of time. They must feel and understand the Christ concept. Unless or until they do this, theither concept nor theory will be able to reach the will and pass directly into action. The will of England is paralysed because the Soul of England is asleep - sunk in lethary, dissipated in the pursuit of unimportant personal interests, blind to what is happening in the objective world. Let English women once awaken to a sense of duty, to a knowledge of the lofty part they must play in the life of the nation, adnd this country will be saved from the creeping death that is now destroying it daily. Note: Women are in a much worse spiritual state than men, because they are so deeply in thrall to the mass media and have been so profoundly manipulated away from their instincts - many or most women are living in a Stockholm Syndrome consciousness - having befriended or even fallen in love with their kidnappers and brainwashers, terrified even to think of truth and hope, oppressing theselves and each other, self made and self enforced victims. This in turn holds men in check, since so much of what men do is orientated towards women - especially in terms of strategy. The awakening of Albion will most likely be a product of men's ideas and men's ground work, but will not happen unless or until there is a mass change in women's understanding of their spiritual lives and aspirations. If it happens, this will be a mass effect via peer groups, and visible in normal social interactions. For example there would need to be a massive withdrawal from mass and social media, and there would be very clear changes away from mass enslavement to fashion and manipulation of ethics. This won't be subtle, and would certainly be mocked and vilified by the media and officialdom -- by the Establishment. If women resist the ideological counter attack, then things could get better very quickly. In conceptualising something like a personal or national awakening of a spiritual kind, there seems to be a necessity for metaphor in conceptualising the phenomenon. Many of the authors I read, and have benefited from, talk of spiritual awakening in terms of physics metaphors. The most popular seems to be the idea of vibrations, sometimes frequency. The idea is that rapid vibrations or high frequency is good, low/ slow is evil. Rapid vibrations, high frequencies are how spiritual awakening is stimulated. But people can choose, or get into habits of, tuning-into low frequency influences - which are evil in intent. So the spiritual war between good and evil is conceptualised in terms of fast or slow vibrations, good and evil influences - and human beings as analogous to radio receivers, suffused by all frequencies but only tuned-into one or a few of them. So awakening is a matter of deities increasing the high frequency vibrations, and the human agency (free will) is about tuning into the high rather than the low. Evil influences are trying to induce people to choose to tune-into the low frequencies - and when the frequencies match, then control is established. A different way of explaining this kind phenomenon is to regard the influences as personal - angels and demons (fallen angels) - conceptualised as spiritual beings of great power that intervene in the world in multiple ways. A new era of awakening is then explained in terms of a new angelic being being given responsibility - for example St Michael becoming the angel ruling over God's plan for the earth and Men, taking over from someone else. Such a view regards angels as distinct personalities, with distinctive minds, dispositions, abilities, powers - each unique - and being given divinely-ordained responsibility for different phases in the development of Man, and the plan for the salvation and exaltation of Men towards divinity. Something analogous, but in the opposite direction, would be assumed to apply to evil or fallen angels or demons (e.g. the different entities named as Satan, Lucifer, Beelzebub may be different personages). Their influence may likewise wax and wane, or be particularly active in one particular time, place or person. Whether or not an individual person 'awakens' is therefore explained in terms of personality - of alliances, cooperation and conflict with angelic or demonic personages. And Albion Awakening might be thought of as an increase in high frequency vibrations which we may or may not tune into; or the advent of new angelic rulers who we may or may not ally-with. Alfred Watkins, envisioned on the Bredwardine hills, perceived the veins and arteries standing out clear against the Hertfordshire fields. Blake, Wordsworth, Coleridge, Tennyson and many others sought the vital spots to penetrate the layers of time that cover the face of the country. The feeling they shared was of some forgotten secret. In a era when so many people and nearly-all institutions are spiritually-corrupt to the extreme point of inversion; it is by awareness of the land that much goodness may be perceived, and this relationship with the land nourishes us with truth, beauty and truth - it is the land which mediates meaning and purpose. Having had these experiences from direct contact, they may be drawn upon again and again when circumstances are averse - we can carry the land around in our hearts. The land is there to be 'read'; so long as we are read it like a poem written on a much re-used ancient manuscript with earlier writings still shining through. And the core meaning does not come-through in paraphrasable content but directly to the heart - we feel its effects, we feel the difference it has made to our deepest thinking; but cannot re-state or communicate that meaning - at least not directly. If we experience the land as alive, meaningful, significant to us personally; we need to Recognise the experience is happening; acknowledge the Validity of the experience (that it is something real and true); and recognise that the experience is Important (not an accident, not random nor an epiphenomenon - but a significant occurrence that needs to be taken note of). Of course we probably won't be able read the landscape like an epic poem; or indeed appreciate more than an inkling of what is being communicated - but even that inkling is valuable, because it is divine. And even the merest glimmer of recognising the validity and importance of a divine communication is necessarily and always life-changing. In the great future which they knew that we should see. With grief, its branches cracking, though unshakable it stood. Shall shake the many birds whose song is still heard in these lands. Within forever against falsehood and all fratricidal War. David Gascoyne (1916 - 2001) was a poet and a prophet - not a prophet in the sense of predicting future events, but in the Old Testament style of seeing deeply into the heart of his time and bringing forth from the turmoil and dissolution themes and images of universal import. He began his career as a Marxist-inspired surrealist. From 1937, under the influence of Friedrich Holderlin, his work started to develop along increasingly spiritual lines. He achieved his poetic apogee in the years following the Second World War with the religious (and specifically Christian) poems, such as Birth of a Prince, which are his enduring gift to the world. Gascoyne referred often, in conversation, to Joachim de Flore, the Medieval prophet of the Age of the Holy Spirit, which, he foretold, would succeed the Age of the Father (The Old Testament) and the Age of the Son (The New Testament). Gascoyne believed that we are living at a crossroads - a liminal era - the disjoint between the old dispensation and the new. The Age to come is 'already here and not yet', to borrow a theological phrase. 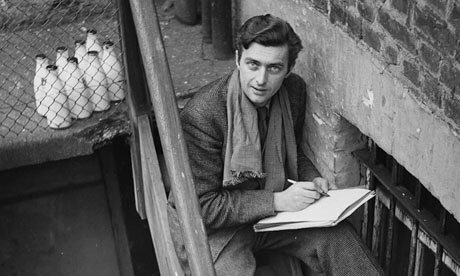 This insight is reflected in his poetry, for Gascoyne, more than anything else in my view, is a poet of the Entombment - the interregnum; the gap; the waiting time; the silent, secret space, at once barren and fertile, between death and resurrection. Birth of a Prince - oracular, grave and sonorous - bears potent witness to this. It is a poem of humility, transformation and grace - from the 'genuine gentle care' of the new parents to the 'howling wind of war' and the great tree, 'rooted in the right', that emerges from the tempest. 'Brave faith' gives way to 'national adversity', but this is a storm which can only blow itself out, ceding place to 'another daybreak', then 'this momentous birth', the return of 'the world's only Prince', Christ Himself, in whom all our clashes and dichotomies find their resolution and meaning. Gascoyne's Christ, with his 'swordlike Word' is a figure of imaginative power and depth. He belongs in the lineage of Blake's Jesus, the 'Countenance Divine', shining forth upon England's clouded hills. This is a God who can't be boxed in by denominational squabbles or one-dimensional culture wars. The Imagination punches at a much higher weight. There is a distinctly British, particularly English, flavour to Birth of a Prince. Gascoyne was widely read in French, German and Russian poetry and philosophy. His artistic influences (e.g. Holderlin, Rimbaud and Gide) were chiefly European, yet his oeuvre is charged throughout with a deeply archetypal British symbolism. The references in this poem to Herne the Hunter, 'the historic park' and 'the great royal oak' tap into that imaginative, mythic stream in our national story that has been so often neglected in recent centuries but which remains the soul, bedrock and ultimate reality behind the British Isles. David Gascoyne did not enjoy an easy life. His sensitivity and emotional vulnerability left him open to prolonged spells of mental illness. Mercifully, these decreased in intensity as the years passed, especially after his marriage in 1975. Gascoyne deserved this happiness granted him so late in the day. He testified to Divinity in a materialistic and culturally sterile epoch. Let us hope then, that the Age of the Holy Spirit is closer to us now than it was when Birth of a Prince was written. If so, it will be thanks in no small measure to the hard-won evocations of truth and beauty given shape and content by this very English poet and prophet. Jesus came to England in his youth, with his uncle Joseph of Arimathea. They are supposed to have visited visited Priddy in the Mendip Hills of Somerset and nearby Glastonbury, also the mines of Cornwall. So runs a rich and plausible vein of history, legend and folklore. The missing years of Jesus: The extraordinary evidence that Jesus visited the British Isles by Dennis Price gives a thorough and engaging account of the matter. The idea is that this visit was between the ages of 12 and 30, and was prolonged; but it was not part of Christ's ministry and He did not perform any miracles; but rather was engaged in some kind of 'work' relating to the metal and stone (tin, perhaps silver, mining and smelting) trade and business interests of Joseph of Arimathea (who is here presumed to be Jesus's uncle). After the Resurrection, Joseph of Arimathea retruned to Somerset where he founded the first church, in Glastonbury (and planted his staff which grew into the ancestor of the sacred Thorn). This earliest Christian settlement then became bound-up into The Matter of Britain - Arthur, Merlin, Alfred the Great - and the major centre of scholarship at Glastonbury Abbey. 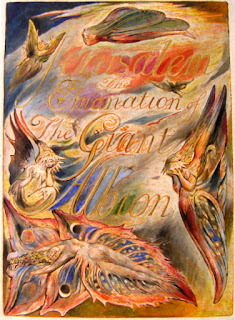 The interest of Blake's prophecies is especially about the future Jerusalem: the past association with Jesus explains the future of England - in the fragment below (listing places in and around the City of London) the shifting tense seems to imply that Jerusalem is both the past and the future - and also here-and-now; for those, like Blake, able to perceive such things. In the Welsh Triads, the first name that this Island bore, before it was taken or settled, was Merlin's Precinct. Clearly there was a time when Merlin was regarded as embodying in some respects the Isle of Britain. Another tradition tells how Merlin acquired the Thirteen Treasure of the Isle of Britain - various objects possessing miraculous powers - and went with them to the Glass House, and there they remain forever. The Glass House is the Otherworld, and may be alluded to in the Welsh name Myrddin meaning 'fortress of the sea' - the island fortress of Britain herself - hemmed in by the transparent walls of the ocean. Britain herself was identified at times with the Otherworld. As early as the sixth century there existed a belief in Brittany that the souls of the dead were wafted across the English Channel in unmanned boats. On the British shore they saw no-one but heard a voice name them all, one by one. Like Shakespeare's John of Gaunt, it seems that the Britons of old may have regarded their Island as as 'this little world, this precious stone, set in the silver sea, which serves it the office of a wall'; in which case Myrddin was simply a homonym for Britain. It is likely that the coastal perimeter of Britain was regarded as a magic defence, marking out the middle of a chaotic space, peopled with demons and phantoms; an enclosure, a place that was organised. In the case of Britain, 'the fairest island in the world', it may be that it was looked upon as a particularly sacred place, a microcosm of the larger world. In Merlin's day the Island of Britain was regarded as lying in a direct path of the axis mundi which linked the Nail of the Heavens (the Pole Star) to Earth and the Underworld beneath. Gildas, writing in the middle of the sixth century, opens his history by stating that Britain is 'poised in the divine balance which sustains the whole earth'. Edited and paraphrased from pages 117-119 of The Quest for Merlin by Count Nikolai Tolstoy, 1985. From various mixed causes, the inhabitants of Britain have allowed themselves to be duped into an habitual assumption that this miraculous isle is a dreary place characterised by bad weather and a depressing climate; and to be looking always 'abroad' (almost anywhere will serve) in their escapist daydreams. If Britons find Albion a place of escalating misery and desperation, then this is not the fault of the landscape or weather but of what generations of Britons have made of it; and have failed to imagine for it. Modern Britons - especially the Europhile ruling and intellectual classes - find that they despise their modern life and culture so deeply that - far from defending it and building upon it creatively; far from recognising Albion as the 'demi-paradise' it was known to be for so many people in the history of the world -- they instead actively subvert, mock and despise; work and plan for the uglification and destruction of the land and the replacement of its people, extinction. In so far as this is so, this it is due to the God-denying, materialistic, self-blinded, selfish, sensation-seeking corruption and perversity of the mass of the people - but not the place. All these imaginations need to be understood as true, our consciousness expanded and refined such that this truth is agent, and that truth made the basis of our future. The English need to live-up-to the true-myth of Albion. I am unsure of what is happening in Wales at present - although I used to live nearby as a child - watching Welsh TV and visiting often, and have had many holidays there; and several - at least four - of my very best and most significant friends through life have been Welsh. So I don't have the same sense of what is going on under the surface. But I am hopeful that Wales is also tending towards a spiritual revival - and that idea would be very pleasing if true, since there has often been a tremendous, deep spiritual complementarity between England and Wales (as well as the more talked-about and emphasised hostilities). These considerations mean that my focus here is on England, where there seems to be the greatest wish and possibility of making a break and a break-though. There seem to have been three authors in 2015 that triggered my awareness of the phenomenon of Albion Awakening - the potential for a spiritual Christian rebirth of England. The first reading the fiction Jonathan Strange and Mr Norrell by Susnna Clarke (2004) - this has a tremendous impact on me; as well as finding it vastly enjoyable, it also struyck me as deeply true and relevant. A few weeks later I read The Fellowship by Philip and Carol Zaleski - a group biography of the Inklings, that opened-up for me the mind and work of Owen Barfield - with whom I had struggled for many years. Barfield seems to me the most relevant of all philosophers for understanding the nature of the failures of the past and the task before us. Whose current work focuses on the contemporary theme of how computers and the communications revolution are affecting human cognition, feeling, consciousness. These three authors served to focus or crystallise a very long term concern with the destiny of England than has been building ever since. On the night of 23 June 2016, at about 11pm, after the referendum polls has closed, there was an extraordinary and unusual silence. I live near to the centre of the city of Newcastle upon Tyne, and usually - at night - there is a lot of traffic noise, sirens, shouting and whatnot; especially in a balmy night like last night, when the bedroom windows were wide-open. I had forgotten that it was the referendum day (not having taken part) and commented on the eerie silence to my wife - who reminded me what had just happened. The next few days, weeks and months will be crucial... My hope is that this blog will be an encouragement - a filling with courage and will - to undergo personal awakening, which will lead inevitably to the awakening of Albion. The English people have a destiny - that much seems clear; and the English diaspora in the US, Canada, Australia, New Zealand, South Africa presumably inherit it. England has been recognized as a favoured nation since at least the Roman era - this fact is extensively recorded. But why? Presumably because of that destiny - which became manifest with the industrial revolution, beginning to wind-up from around the middle of the 1700s and leading to the biggest change in the human condition since the invention of agriculture which is lost in pre-history. So there was the industrial revolution and at the same time there was Romanticism - Coleridge, Blake, Wordsworth - which is usually seen as a reaction against the associated materialism, scientism, rationalism, urbanization and the rest of it. 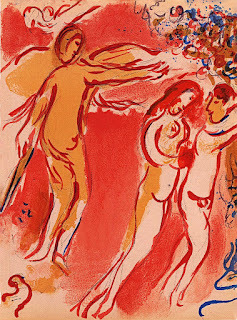 But Romanticism was not a reaction - it was part of the same movement of thought - the same evolution of consciousness. What was meant to happen was that Romanticism was supposed to be the future, not a reaction; was supposed to be made possible by the Industrial Revolution - not fight against it. The English were favoured not for their own good but because they had a job to do - a job not for themselves, or for their own benefit, but for Mankind. Because Romanticism was - or should have been - the healing of the alienation of Man from nature, of mind from matter, the reunification of the inner life with the outer world, of subjective and objective - which had reached completeness with the Age of Reason and the agonies of the French revolution. But the English failed in their destiny. In sum, a hotbed of innovation and exploration and achievement - of revolution - in multiple fields but not the one thing needful. That was steadfastly, repeatedly refused. After a century came payback - with the decline of Christian faith. the horrors of World War One, then Two - loss of Empire, loss of vitality and confidence, loss of fertility, a mood of self-hatred and now the national suicide of reverse colonization. To move beyond the split between purposeless rationality and pointless instinct into making conscious of everything, sensory and supersensible, the synthesis of all aspects of life and the world in a human thinking which uses all the resources of Man: including imagination, inspiration and intuition. The task is for everyone, but perhaps most of all for the English - whose historical destiny it was to pioneer this metamorphosis of mind. We have been refusing repeatedly and vehemently this destiny for two centuries and doing anything-but what must be done - but anyone may choose to embrace the task today.